The following morning we left on a full day excursion to see the rest of the island. We started off in the stone village of Orongo, where many masonry houses were found and some restored. 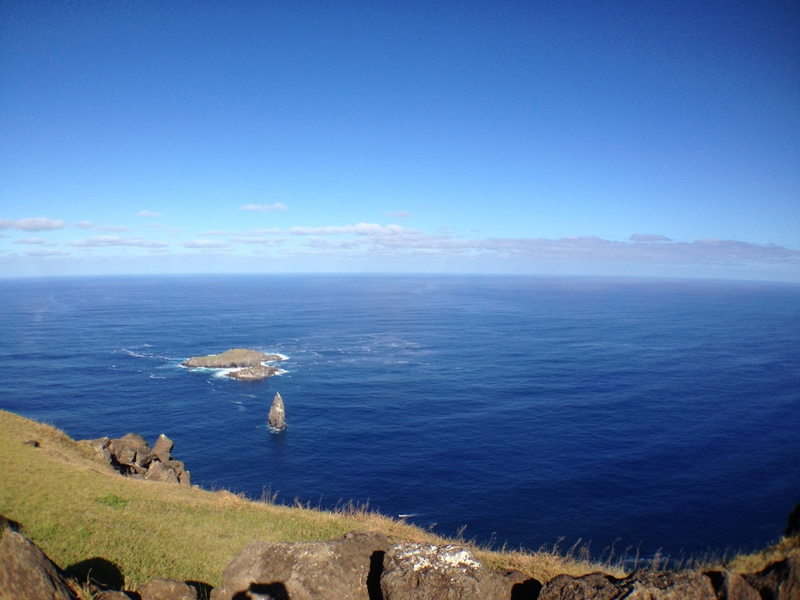 The site was a ceremonial one, called Motu Nui, which was part of the Birdman Cult ceremony, and lies on the tip of the crater of Rano Kau. 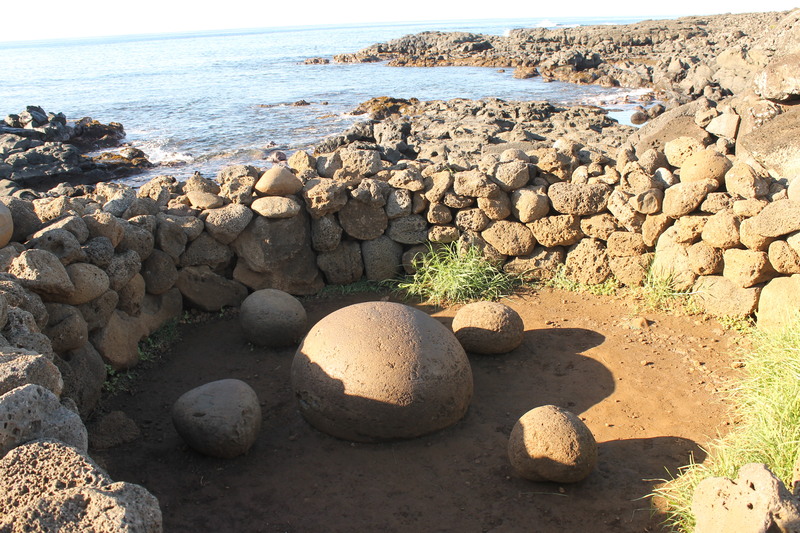 Throughout the island, many petroglyps can be seen on stones, representing gods, or the man bird. 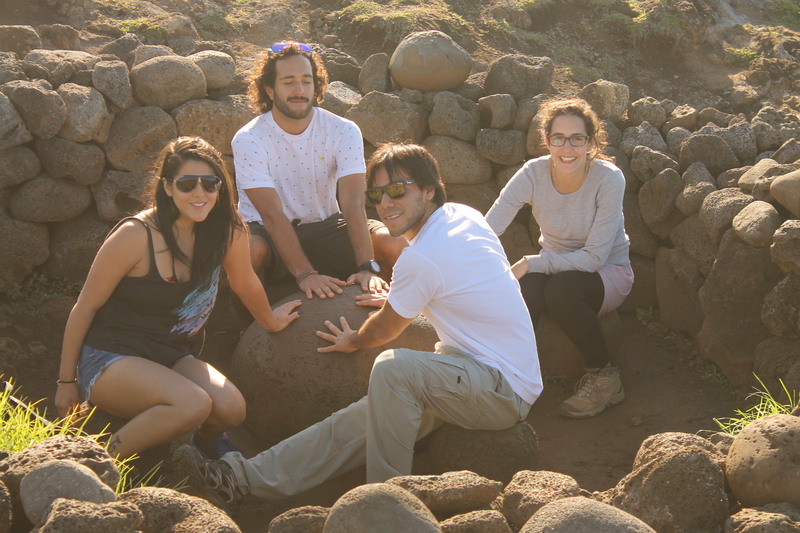 Also, we saw an Inca type of wall on the island, some suppositions are that the Incas may have gone to Rapa Nui, but this wall is the only proof, as no other types of records have been found (yet). 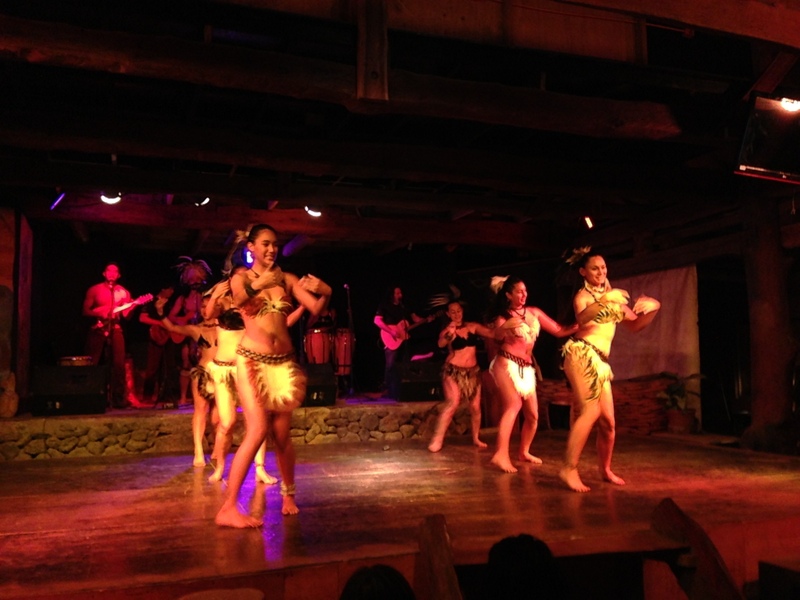 Moai is the name given to the famous statues found on Rapa Nui. There are about 800 registered and they are all over the island. 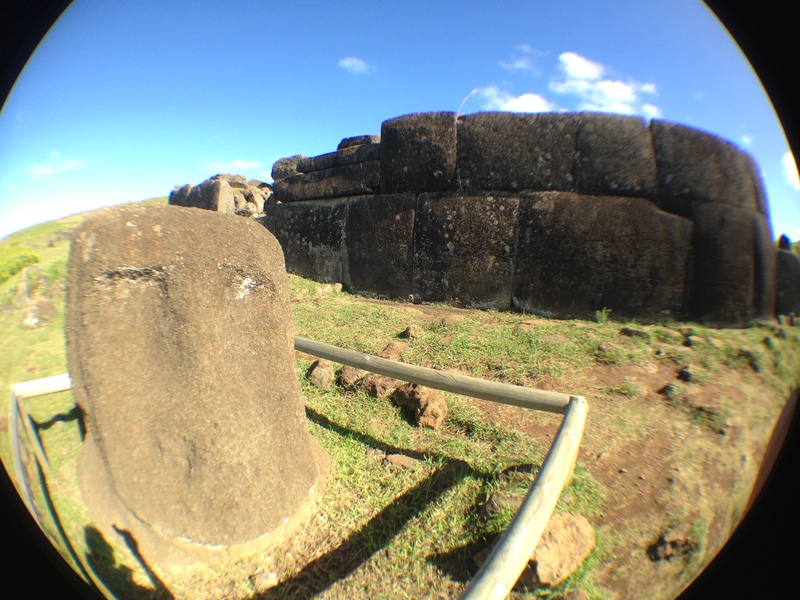 Ahu is the name given to the base on which the Moai rest. 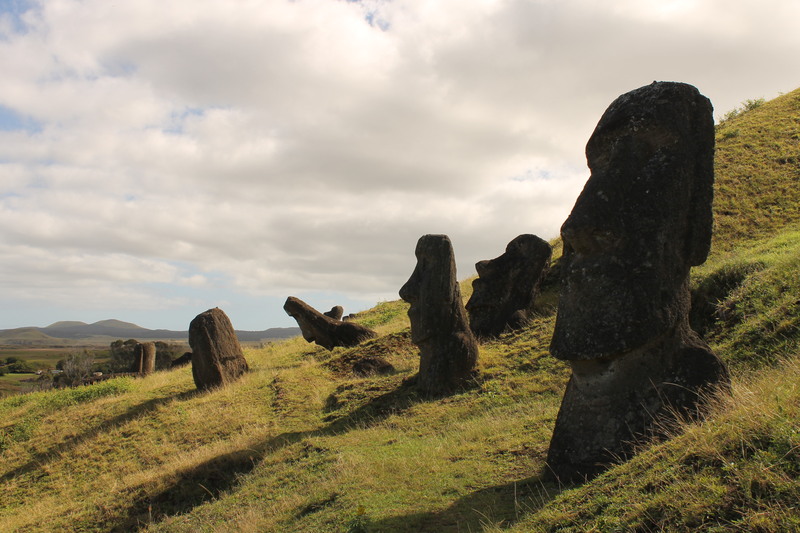 Several Moais can still be seen top down, and have not yet been restored. 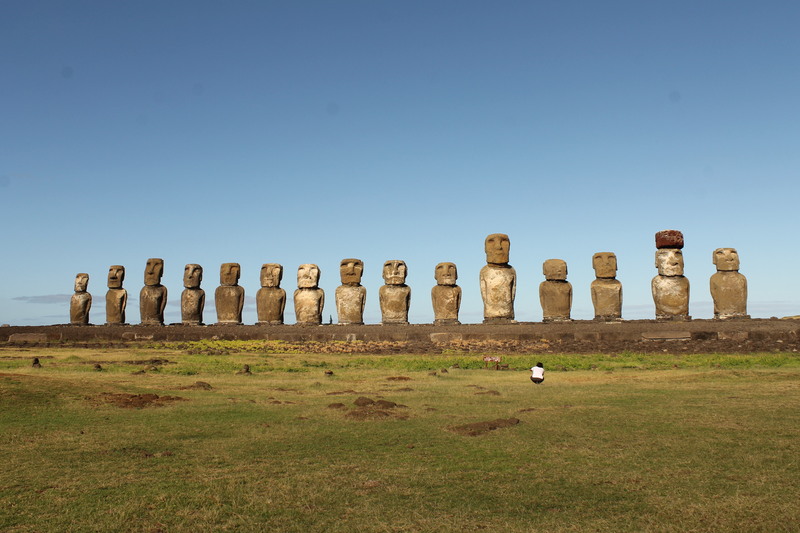 Ahu Tongariki, is the site where 15 Moais can be seen lined up, these were excavated and restored in 1990. 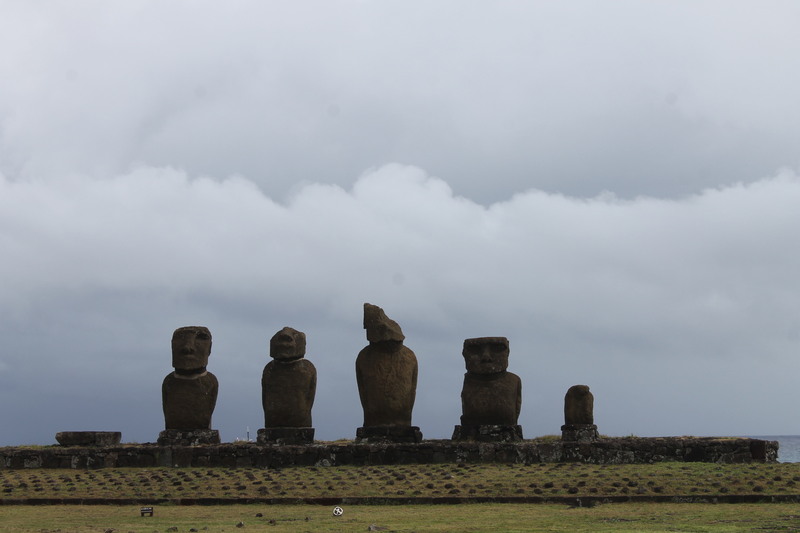 Other sites such as Ahu Akivi, has 7 standing Moais, and Ahu Vau Uri has 5. 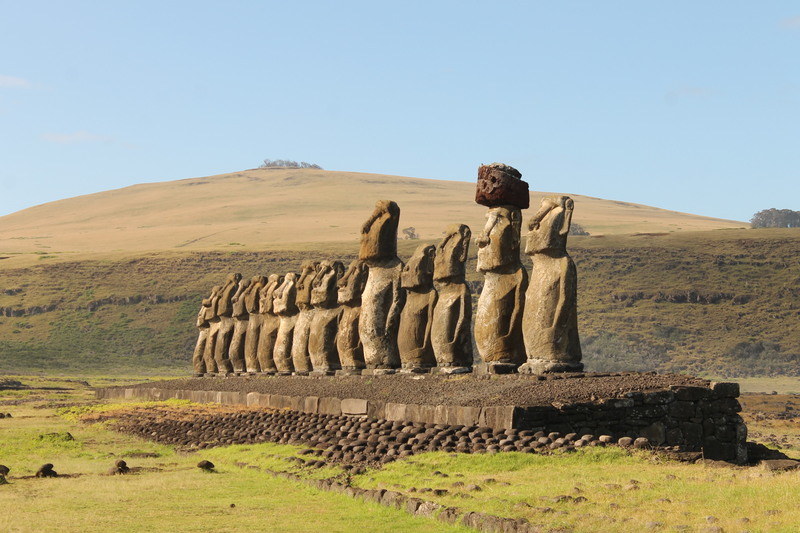 What is most impressive, is that the Rapa Nui would carve all of these gigantic Moais directly from one single site: the volcano Rano Ranaku. Once carved, they were transported to various parts of the island, and it is still unknown how these massive sculptures were transported.